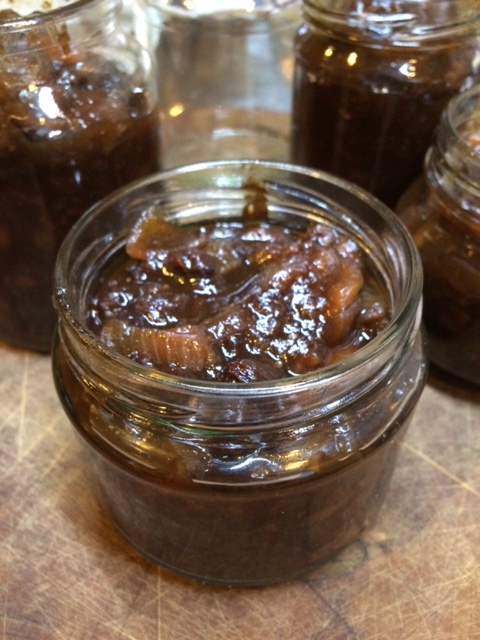 At lunch on Monday I realised that we were out of chutney at home so decided to make some feijoa chutney. It was so easy with the large feijoas from Barry. Eight big ones gave me 4 cups of chopped fruit and we still had lots left over to eat raw. Put all the ingredients in a large pot. Bring to the boil and then gently simmer for about 1½ hours. Stir occasionally particularly near the end of the cooking time otherwise it will catch on the bottom of the pot. When it’s ready, leave to cool a little then spoon into hot sterilised jars.